Thanks to technological advancements, most vehicles nowadays are operated with keys which are computer programmed with special codes that match the codes located within the ignition. Because of this new technology, and attempts by the manufacturer to keep the vehicle's keys theft proof, replacing a lost or stolen key can be extremely expensive not to mention time consuming! In some cases, depending on the make of the car, it can cost as much as $100-$800 per key. 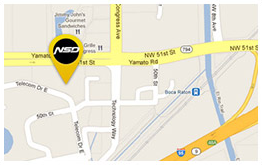 We at NSD have earned a solid reputation for fast and courteous service. You can count on the company with "safe" as its middle name! 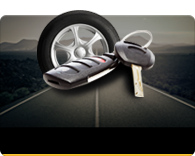 In the event your key/remote is lost, stolen or destroyed we will pay for a replacement key remote. Whenever you travel, you'll like the secure feeling knowing that you are protected by the Nation Safe Drivers Auto Club.